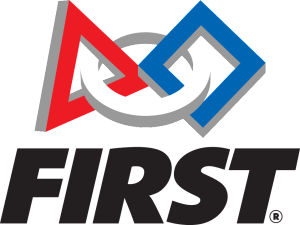 FIRST Tech Challenge (FTC) in the state of Michigan is a FIRST program for middle school students. Design instructions put together by 857 Superior Roboworks for building a basic robot chassis using the 2015-16 Modern Robotics-based control system. It can be assembled using only parts found in the Tetrix FTC Competition Set. FIRST-supplied instructions made by FTC Team #2843 for a more complicated robot than YetiBot that also uses the 2015-16 control system. The Houghton Middle School FTC team is SnowBots. Our rookie year was the 2015-16 FIRST RES-Q season. Team 857 Superior Roboworks began its involvement with FIRST Tech Challenge in the 2015-16 season. Until this point, there were no FTC teams in the Upper Peninsula. The first four FTC teams were 10040 Robotic Narwhals, 10041 Blackrock Bots, 10062 Robogators, and 10723 SnowBots. On September 12, 2015, we hosted a kickoff event at Houghton Middle School with three teams from the Marquette area and one we were starting at Houghton Middle School. As a group, we watched the reveal video for FIRST RES-Q, spent time measuring and manipulating the official field, talked strategy, and had teams build YetiBot or PushBot 2. We thank FIRST in Michigan for donating a full field to us and game piece sets for every U.P. team. Our robot was named Wilson; it could drop the two pre-loaded Climbers into the shelter basket, push the Debris blocks and balls into the floor zones, and drive onto the bottom portion of the mountain. 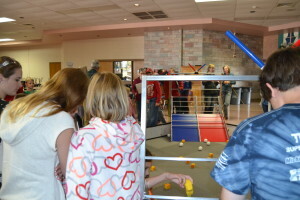 The UP teams competed at Petoskey, with 10062 Robogators winning the event. SnowBots went into the second year looking to take on more challenges. Our robot, named Rubik, could press the beacon buttons and catapult the Particle balls into the Center Vortex with its choo-choo mechanism. We again competed at Petoskey and won the Control Award for our efforts to claim the beacons in autonomous.